Album artwork for debut album How've You Been? designed by Clockwork Visuals. 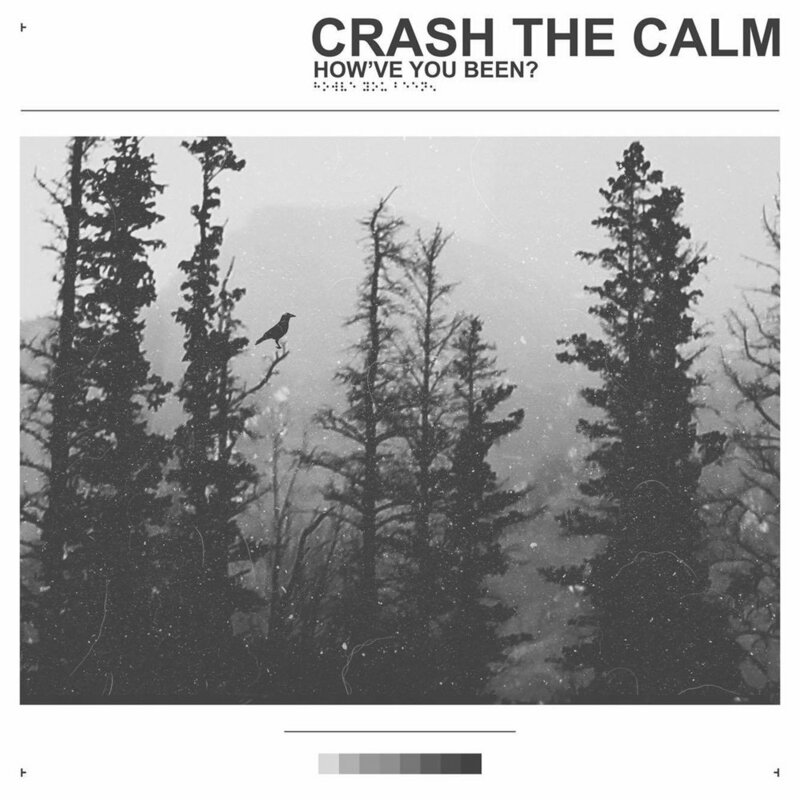 Long Islanders Crash the Calm entered the scene in December 2014 after its members had decided to come together with the goals of making meaningful, cathartic music and trying their best to share that art with everyone they could. The five-piece play alternative rock that would fit in with the grunge of Balance & Composure and Superheaven but appeal to the ambient nature of Circa Survive and Moving Mountains. While Crash the Calm are certainly musical veterans--each member has been in multiple bands and composes music constantly--they have a looseness about them that stems from the trust and respect they have for each other, and this breathing room is exactly where they shine and what makes songs like their single “Holes”, "Irish Exit", and "The Ambient Sound of Traffic" stand out amongst their peers. Crash the Calm released a Split EP with Staleworth on August 11, 2018. Beyond excited to announce we’ll be opening for @pianosband at @amityvillemusichall December 5 alongside our buddies in @anoldfriendli. Drop us a message if you want to grab an advance ticket and we’ll see you at the gig! Hey everyone. We’ve been taking in the vibes of fall by writing our next album and keeping busy. We have a huge show announcement coming up that you do not want to miss! We are honored to be playing a very special Halloween show at our favorite place @mrbeerysny. Come celebrate the life and birthday of one of our best friends Zak who was taken from us way too soon. We have the absolute privilege of rocking the stage with his dads band @blue_velvo. Come dressed up, let’s rock, and get weird. Thank you again @reverendguitars for making us a part of the family. Our sound wouldn’t be possible without your guitars!